This weekend I hosted a charity event at our place through the meetups I organize to benefit the Susan G Komen Foundation. 20% of all merchandise sales from orders until 10/31 are going to the Susan G Komen Foundation. To show attendees what they could do with SU! 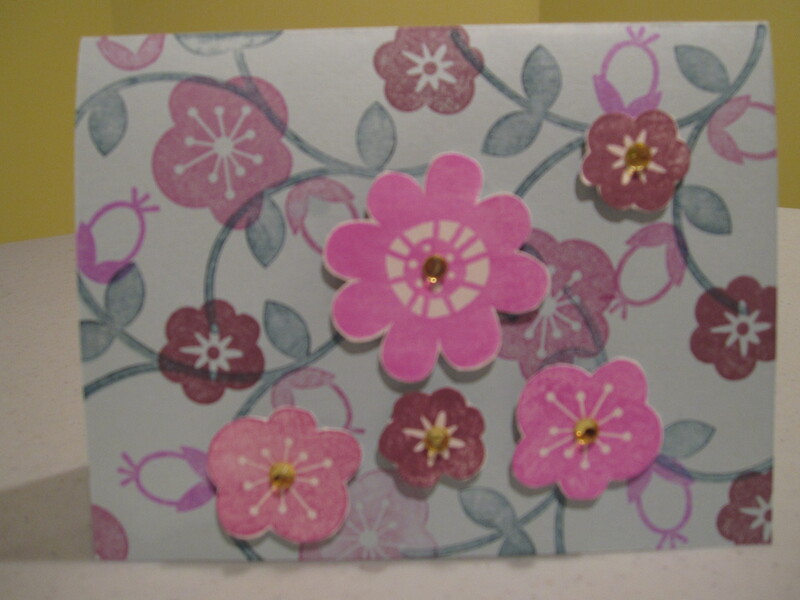 products by displaying a lot of cards and scrapbook pages. 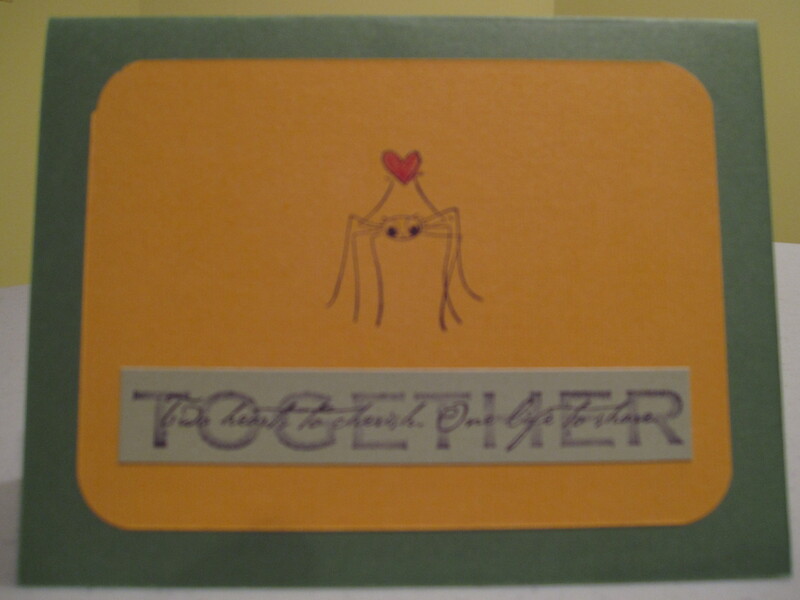 Additionally, there were some cards for them to make. Plus I got to show them this cool technique for ‘stamping’ on candles I learned from my upline. 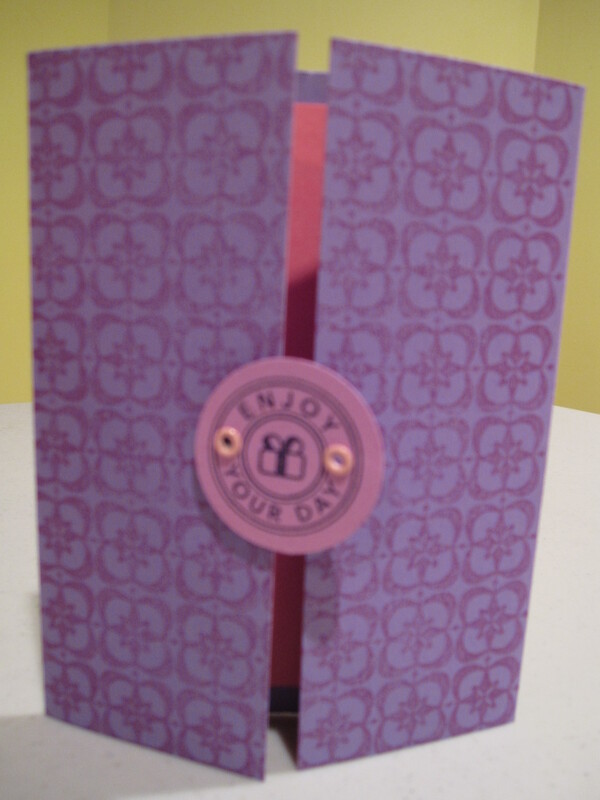 In addition to the cards I showed them how easy it is to create cute candles by ‘stamping’ on them! 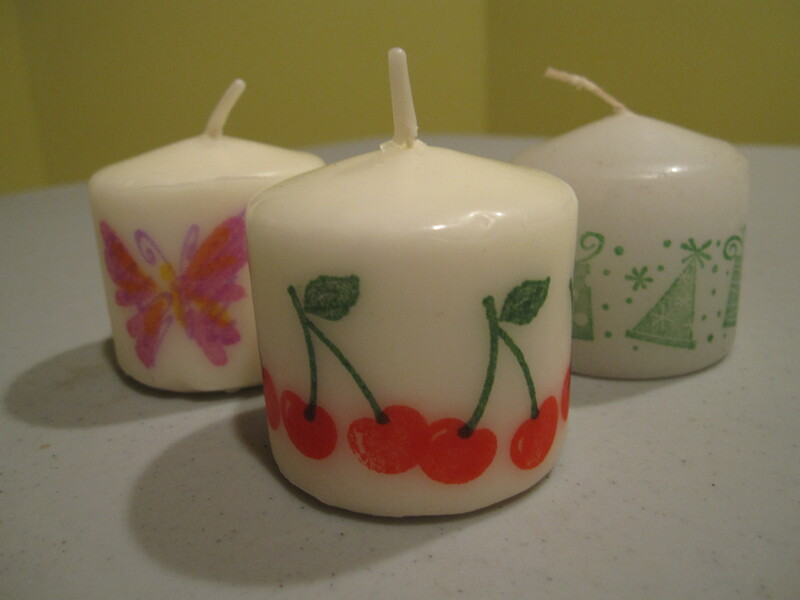 The butterfly candle is one image, the cherry candle is one piece of tissue that was stamped several times, and the birthday candle is a Stampin’ Around image on one piece of tissue. 2. Cut out the image as close as possible. 3. 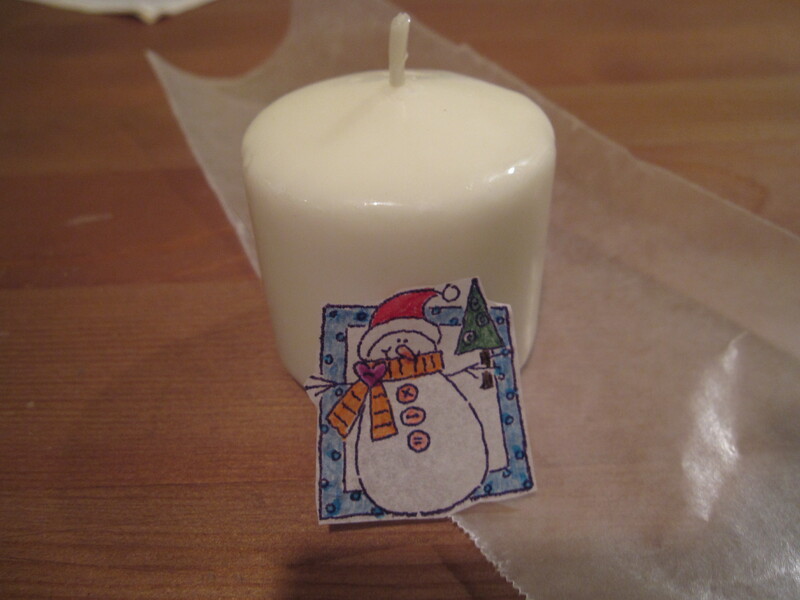 Lay the stamped image on the candle and hold it in place with a wax paper wrap. This also creates a handle so you do not burn your fingers too badly! 4. Heat the image and candle with your heat gun. The image appears shiny as it begins to adhere itself to the candle. 5. Slowly pull off the wax paper. 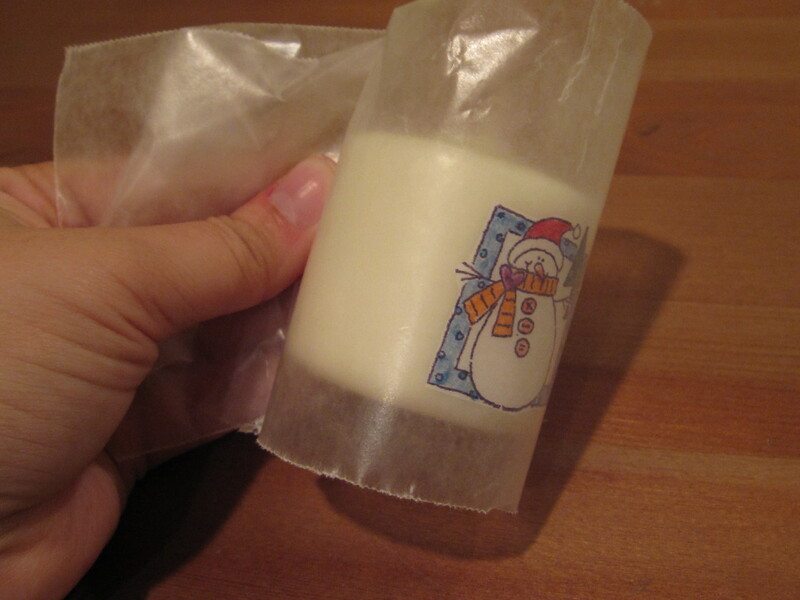 If areas are not properly attached to the candle wrap again and heat. 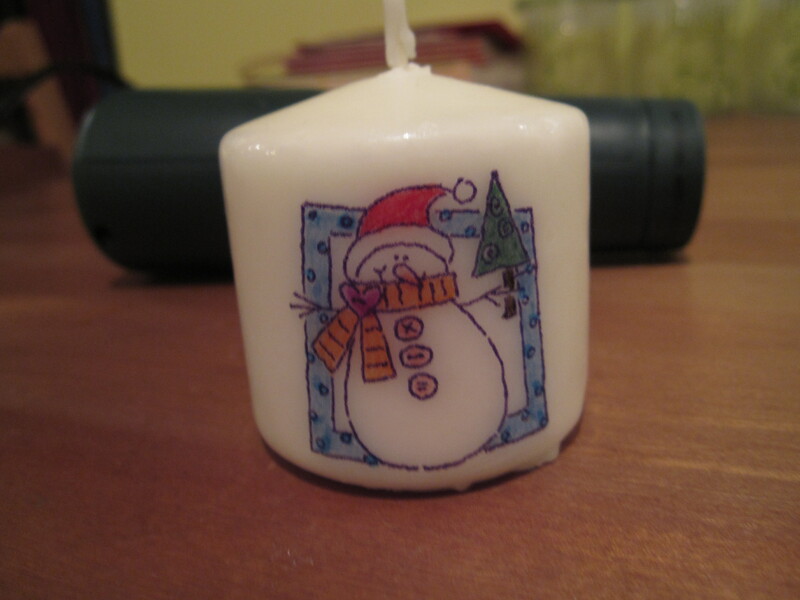 FYI- You do not want to re-use the wax paper from candle to candle, or if you do multiple images on a candle. super cool candle technique. i’m bummed to have missed the lesson!